Este aspecto tenía la sala central de la Biblioteca –se trata de la Biblioteca de la Catedral de Kalocsa, para quien no haya leído la entrada anterior– unas horas antes de su solemne apertura. Las vitrinas ante las estanterías barrocas se habían preparado con todo esmero para exhibir las Biblias impresas más preciadas de la colección, mientras que los manuscritos quedaban en el vestíbulo previo. 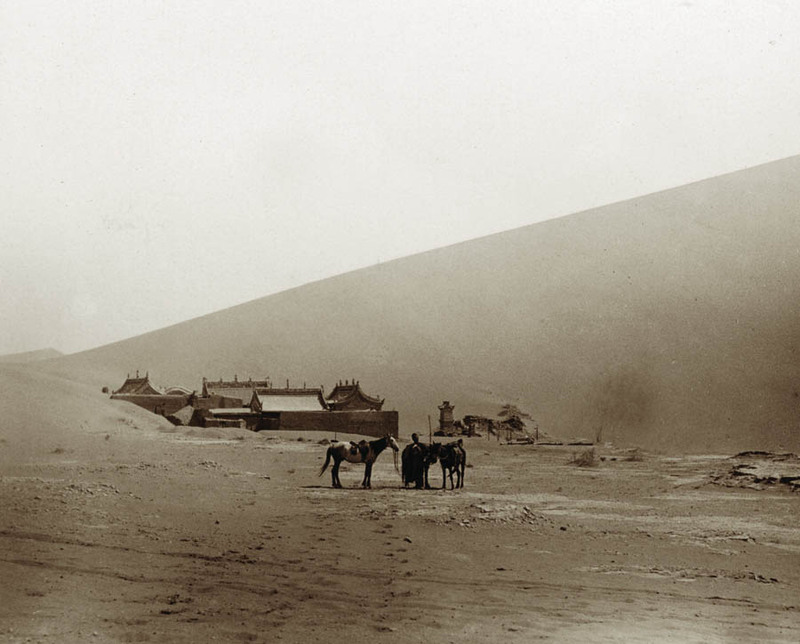 En la página de presentación de la serie de los «Tesoros de Kalocsa», en Studiolum, se puede ver también esta sala desprovista de las vitrinas –bueno, aquella imagen la tomó un fotógrafo profesional, no nosotros. 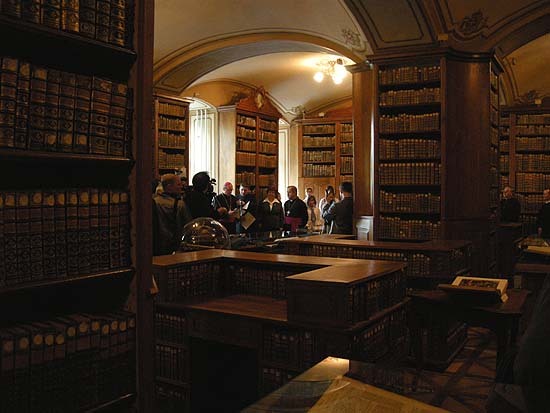 Antes de que lleguen los invitados, demos un vistazo a las salas de depósito de la biblioteca, cerradas a los visitantes, donde tantas horas hemos pasado concentrados en familiarizarnos con los libros. Abrieron la muestra el arzobispo de Kalocsa, Balázs Bábel, y el legado del Papa, arzobispo Juliusz Janusz. En la esquina inferior derecha está el expositor de Erasmo, con dos joyas: la monumental edición en diez volúmenes de las Opera omnia de Leiden, hasta hoy la mejor edición completa de Erasmo, y una carta autógrafa del escritor. En el expositor anterior, dedicado a Lutero, también se encuentra un poema autógrafo del teólogo alemán. 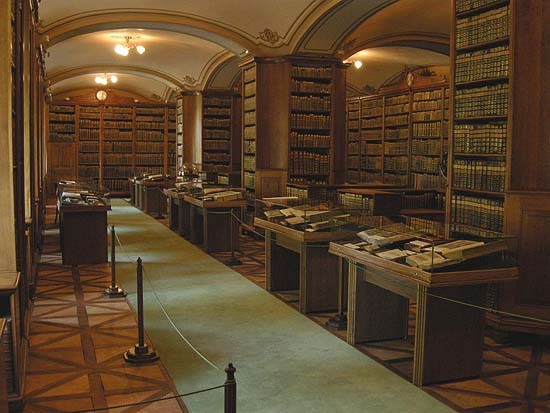 This is how the main hall of the library – the Cathedral Library of Kalocsa, if someone has not read the previous post – looked some hours before the solemn opening. The glass cases in front of the Baroque bookshelves had been prepared specifically for this exhibition. 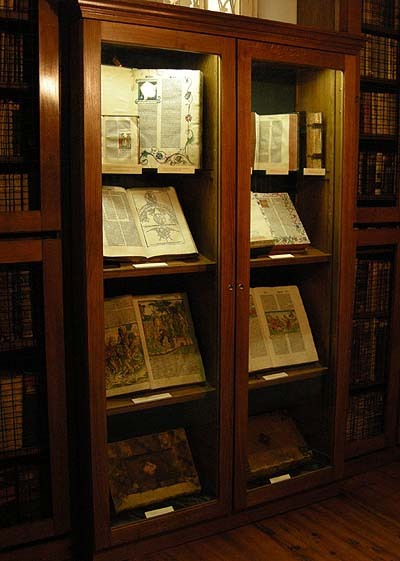 They exhibit the most precious printed Bibles of the library, while the codices are in the previous hall. 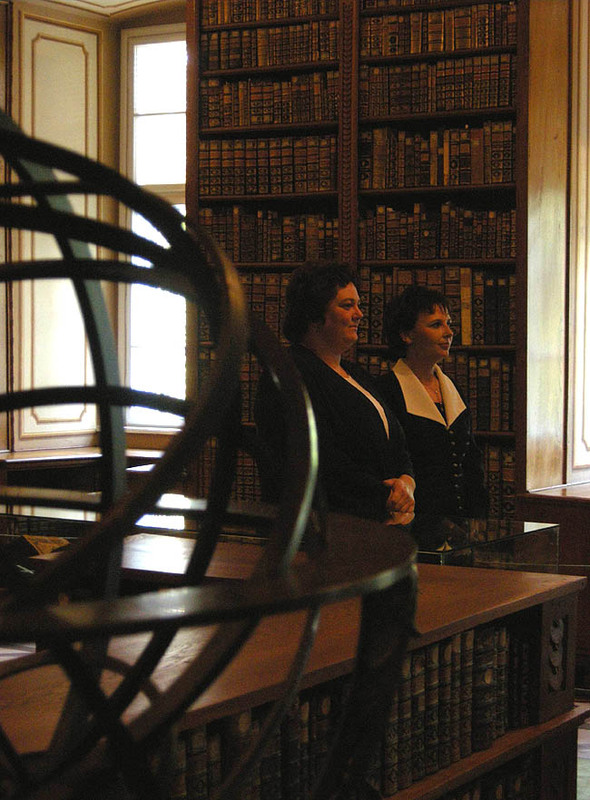 On the start page of the “Treasures of Kalocsa” series by Studiolum you can also see the image of the main hall without the glass cases – all right, that image was taken by a professional photographer, not by us. Before the guests arrive, let us have a look at the stack-rooms of the library, closed from visitors, where we have spent so many intimate hours browsing among the books. The exhibition is opened by Archbishop Balázs Bábel of Kalocsa and by papal legate Archbishop Juliusz Janusz. 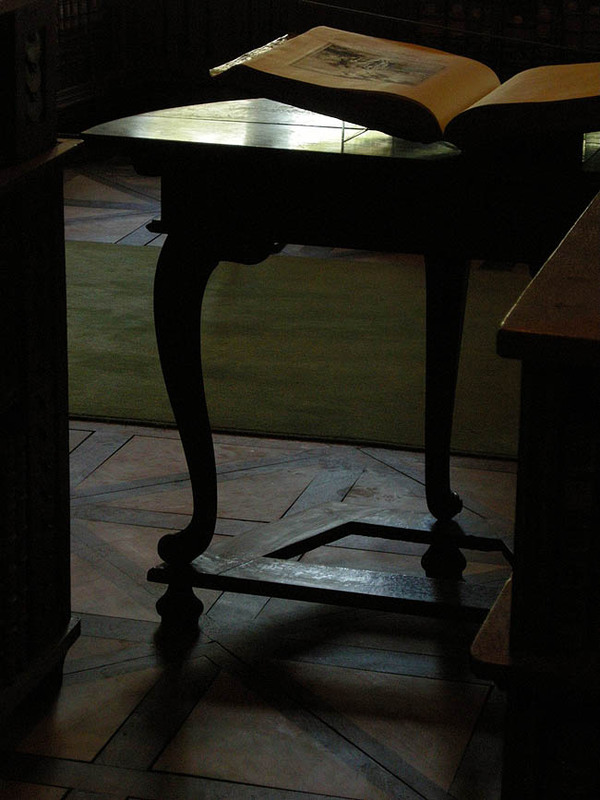 In the right lower corner there is the Erasmus exhibition case displaying two highlights, the monumental ten volumes Leiden edition of Erasmus’s Opera omnia – even today the best complete edition of Erasmus – and an autograph letter by Erasmus. In the previous Luther case one can also read an autograph poem by Luther. 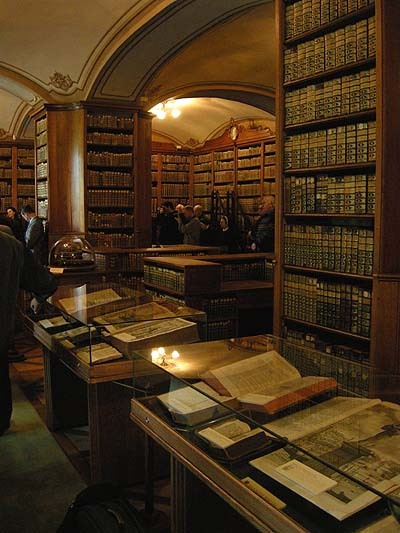 In the Cathedral Library of Kalocsa tomorrow opens the exhibition of the uniquely valuable ancient Bibles collected through several centuries by a long series of bibliophile archbishops. Two precious illuminated medieval copies, a Bohemian Psaltery from the beginning of the 1400’s and a Parisian manuscript of the letters of St. Paul from around 1250 have already been published on DVD by Studiolum. We have also participated in the selection of the exhibition items. This is how we have discovered a peculiar Bible that was not even registered in the catalog of the library. 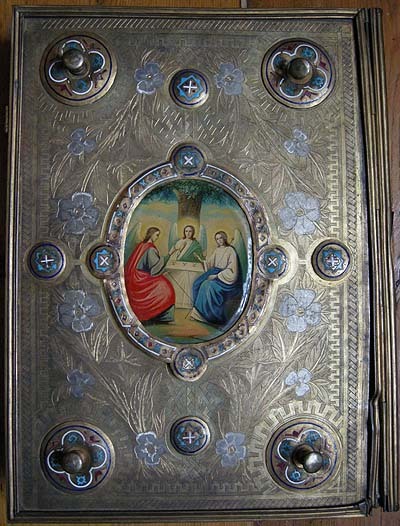 This folio edition of the four gospels in Church Slavonic is protected by a lavishly decorated metal binding. Originally the enamelled images of Christ and the four evangelists were inserted in the front cover, and that of the Holy Trinity in the back cover. The four little legs on the back cover indicate that the evangeliary, as it is habitual in Orthodox liturgy, was permanently placed on the book-holder on the altar, representing Christ who remains with His church until the end of times. The introduction of the book lists the names of all those who financially contributed to the preparation – printing, binding or decoration – of this copy, also indicating its being not an ordinary publication, but a precious liturgical book individually fabricated with large costs, and intended for an honored place. 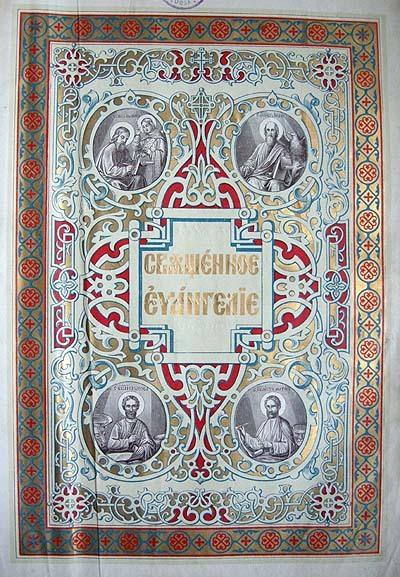 The end of the introduction gives the date of publication in the Old Style of the Orthodox Church, informing us that the book was completed in Moscow, in the typography of the Holy Synod, in the 7400th year after the creation of the world and in the 1892 after the incarnation of the Verb, on the sixth day of August. 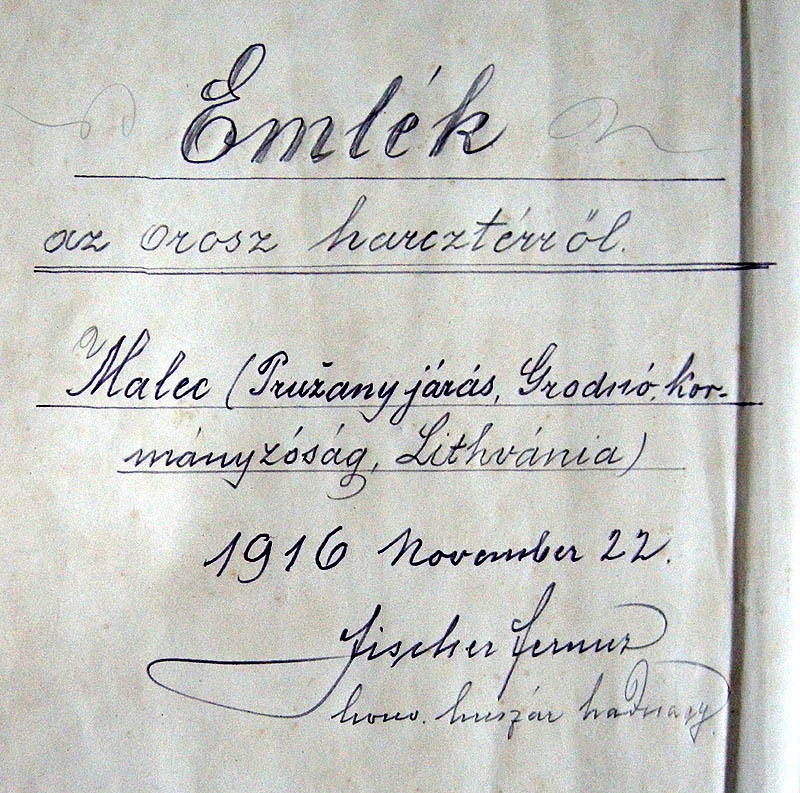 The place and date were also added with pencil in Hungarian under the printed text. The evangeliary also includes two more handwritten inscriptions, the one on the first and the other on the last inner backpaper. 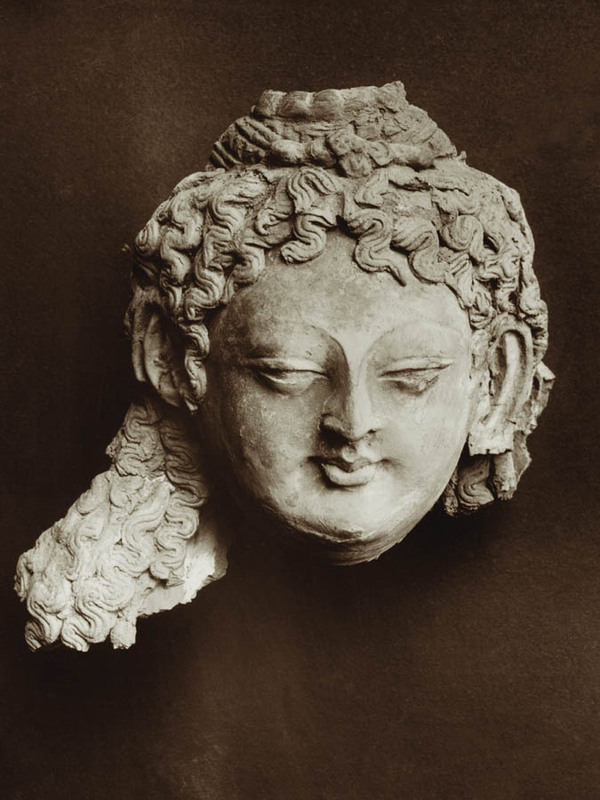 It is exactly these inscriptions that make this book so incomparably individual, reconstructing a fascinating historical and geographical context around it. Souvenir from the Russian battle field. At the first glance one is shocked at this sacrilege, and immediately imagines the Hungarian soldiers pillaging the Orthodox churches in the occupied Lithuanian territories and taking home the stolen ecclesiastical objects as “war souvenirs”. However, if one sees to the events then he will see that things were completely different. The Grodno (Grodna, Горадня, Гродна, Hrodna, Gardinas, הורדנה, Gorodna, Гродно) Governorate was shaped up in 1796, after the division of the historical Polish-Lithuanian Kingdom, of the territories that fell to Russia, and its borders changed a lot even in the Tsarist times. 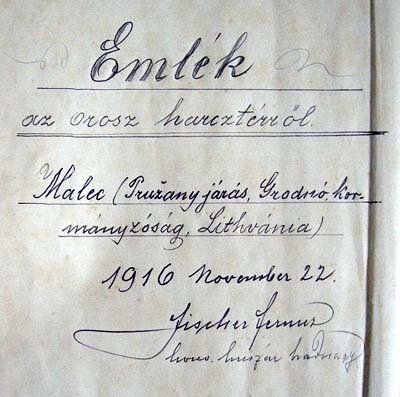 The town that had belonged to the Lithuanian Grand Duchy, and then to the Polish Kingdom, after World War I got back to the reestablished Poland. From 1939 it became part of the Soviet Union, although it was also occupied by Germany between 1941 and 1944. Since 1990 it has been part of the independent Belarus where the largest part of the former Governorate belongs, while a smaller part of the same Governorate is shared among Poland and Lithuania. Thus the elder citizens of Grodno can tell the same that those of the not so distant Hungarian town of Ungvár (Ужгород) in Ukraine: that they have lived in five countries without ever leaving their town. At least those who have at all survived these movements of the earth. Malecz (Малеч, Malech, Maliecz, Maletsch, Malch, Maltz, Maltesch, Малечь), once a market-town, today a village, lays around the middle of the former Grodno Governorate, among lakes and swamps, half way between Bialystok, scene of the Fiddler on the Roof and Pinsk, native town of Ryszard Kapuściński about which he writes so charming in the first chapter of his volume The Empire. 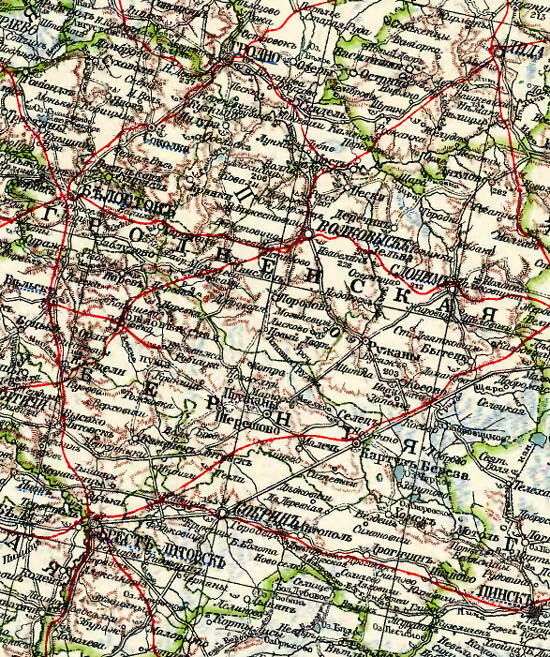 The settlement is situated to the south-east of letter “H” of the inscription ГУБЕРНIЯ on the above table of Marks’s large atlas. 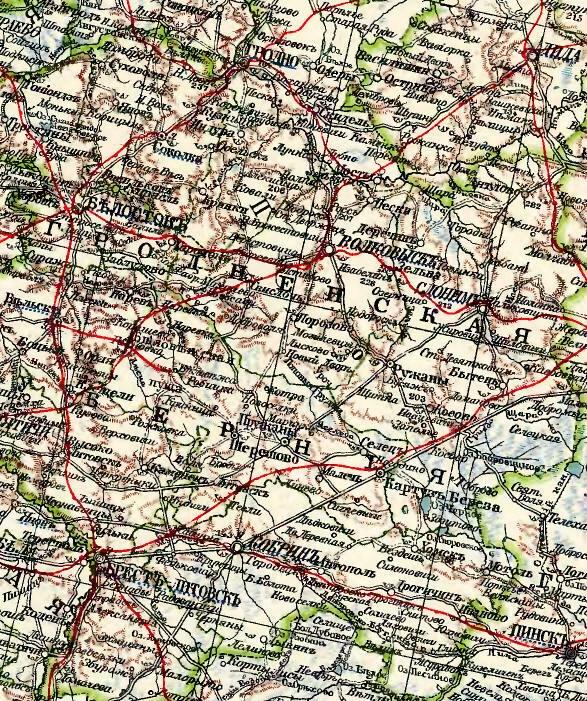 The statistical compendium of Grodno Governorate informs us that the town was inhabited by Polish, Belarussian, Russian and Jewish population, further colored by some Armenian, German and Tatar minority, all of them following different religions – as in all the Cherta from the Baltic to the Black Sea. A part of the Jewish population of 10-15% started to emigrate to America from the beginning of the century, and it was their descendants who created the family history database extending to six little towns that contains the most information about pre-war Malecz. Those remaining at home were annihilated by the German occupiers. One of the few survivors, Shmuel Mordechai Rubinstein who spent 27 months in Auschwitz, gives a detailed description about the life of the town before the war in his autobiography written in 1978. 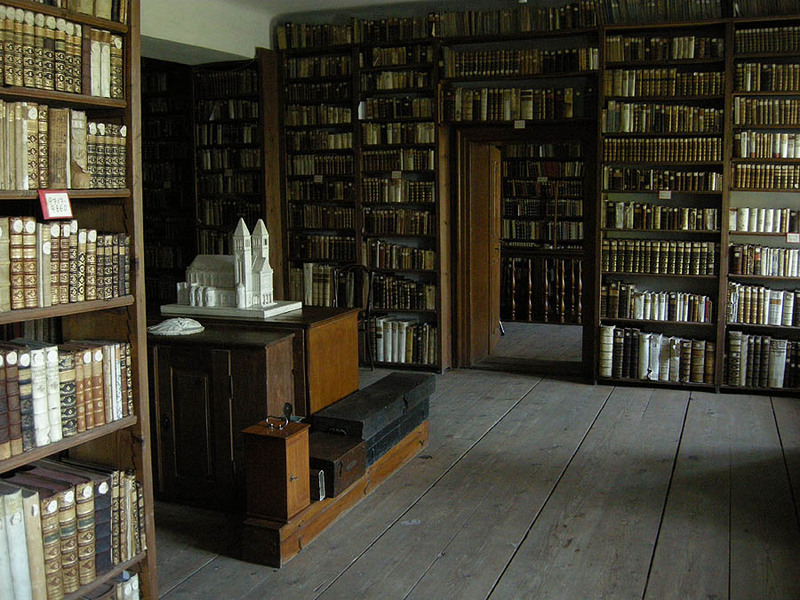 The first written record on the Orthodox church in Malecz comes from 1563. The church registries beginning with the end of the 1700’s also mention its name: Семеновская, which means that it was dedicated to Saint Simeon. Nevertheless, the seal of the market-town in use since 1645 represented Saint Peter. 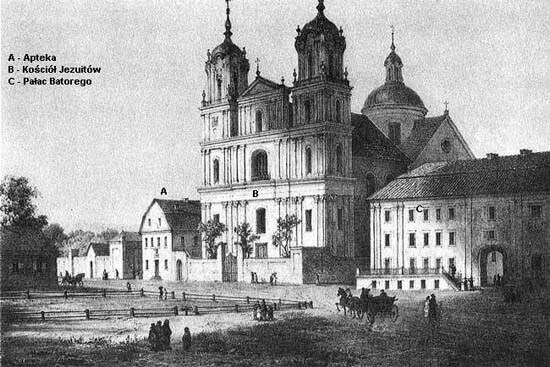 The illustrated catalog of the Belarussian architectural monuments fixes the date of construction of the present church at 1873 or 1928. Probably both dates are correct, the first one being that of its construction, while the second of its reconstruction, soon we will see why. 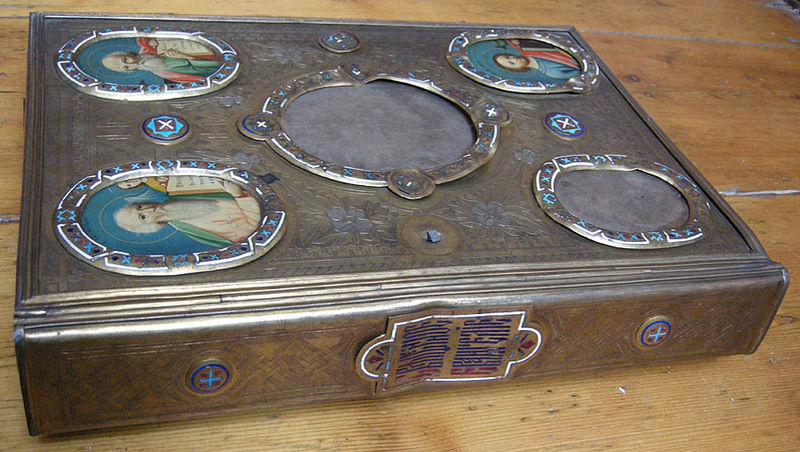 The date of 1873 would also fit in time with the preparation of the sumptuous evangeliary. It would be the task of local historians to see whether the persons named in its introduction can be documented in Malecz of that time. 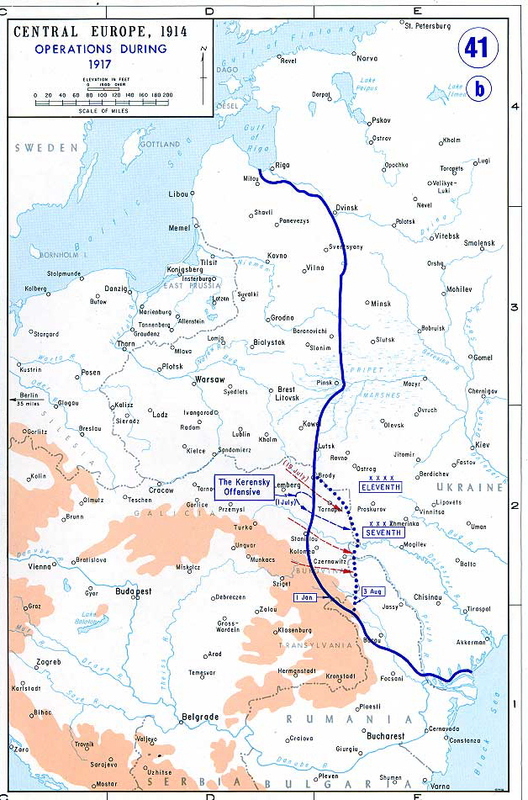 The Russian Cossacks were the last to retreat from the Germans during the [First World] War. Our town had no public officials and it did not occur to the people to collect a sum of money and be on the alert to bribe the Cossacks, so the Cossacks simply burned the villages to the ground. 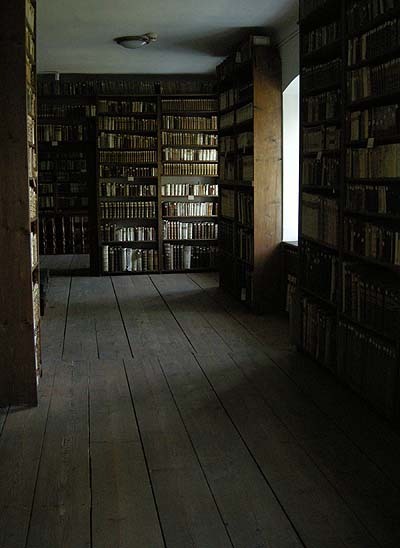 (…) All the books were destroyed in the fire, so there was no way to prove anyone’s age. (…) All the gentiles fled to Russia, for fear of the Germans. Fields were abandoned. (…) Between 1917 and 1919 the non-Jews began returning home from Russia. (…) A few years later the town was rebuilt, and life began to improve. 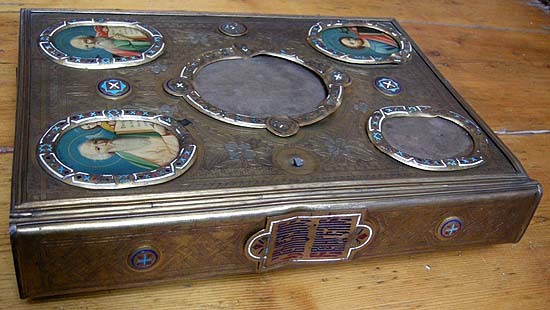 It was probably at this time that Lieutenant Ferenc Fischer, entering the town with the Austro-Hungarian army, found the evangeliary. It is not known how it escaped the destruction by fire of the church, and why the person saving it did not take it with himself to Russia. Perhaps it was too heavy for the fugitives, or perhaps it was left somewhere in the hope of a close return – who knows. That much is sure that the lieutenant did not obtain it by pillaging, but took care of it after the destruction of the church by the Cossacks. 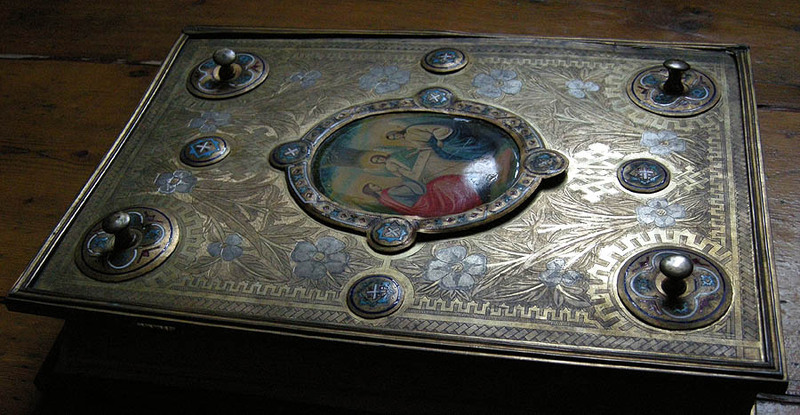 The reason of why he did so and why he took home as a “souvenir” exactly this Gospel book in Church Slavonic, can be perhaps enlightened to some extent by the third handwritten inscription in the book. 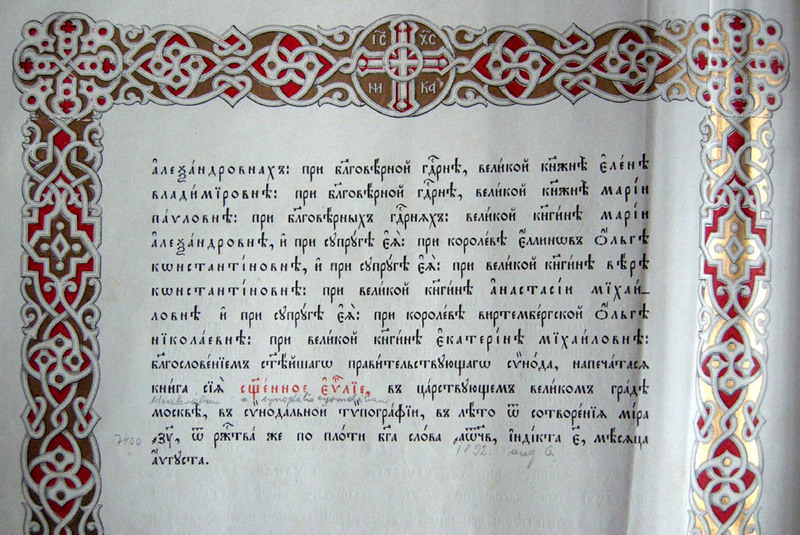 The inscription of the Greco-Catholic seminarist Gavrilo Mustyanovich is much later than that of Lieutenant Ferenc Fischer. We do not know who he was and how this book got to him. His name is a typical Rusyn name from that mountainous region which as Subcarpathia until 1918 belonged to Hungary, and today as Transcarpathian Rus is the westernmost region of Ukraine. According to the already cited thesaurus of Pavlo Chuchko, Прізвища закарпатських українців. Історико-етимологічний словник (Family names of the Transcarpathian Ukrainians. A historico-etymological dictionary), Львів 2005, p. 403, it comes from the Romanian name Mustean meaning „grape juice producer”. Stefan Mustyanovich (†1865) was the author of a Topographica descriptio Ruthenorum in comitatibus Marmaros et Beregh habitantium (Topographical description of the Rusyns living in Máramaros and Bereg counties of Hungary), published in 1851. The Rusyn poet N. L. Mustyanovich was an ardent defender of the autonomy of the Rusyn language as opposed to Ukrainian and Russian. 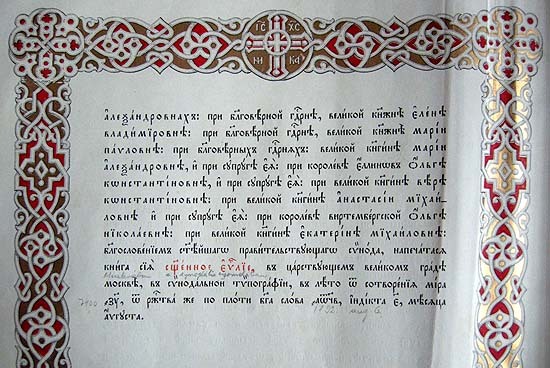 And an interesting article in the Rusyn Nation publishes a story from the turn of the last century about a Greco-Catholic “missionarian” called Mustyanovich who was sent, together with three companions, by bishop Gyula Firczák to the village of Iza in the Carpathian mountains above Hust to counterbalance the growing Orthodox influence, but instead of this soon he also started to propagate Orthodox teachings. And finally we do not even know how this book got to Kalocsa. It has no trace in the catalog and, in spite of its unusual dimensions, language and appearance, even the librarians have just noticed it now. Neither the name of the lieutenant, nor that of the seminarist sound familiar to them. It looks as if the book suddenly appeared there as a survivor of an once existing many-colored East European world that was washed away by the tragedies of the twentieth century. Kapuściński took his personal experience about tyranny from the ditches of Hell. He was seven and half years old when his homeland fell a victim of the partition among Hitler and Stalin, accompanied by the indifference of Britain and France, allies of Poland. 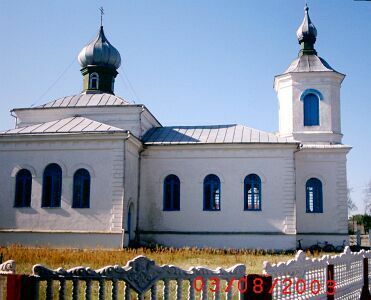 His native town Pinsk, at the main square of which the Orthodox cerkov, the Catholic church and the synagogue had got on well together for centuries, now fell to the Soviet Union. Soon they started the deportation of the Polish population to Siberia. The father of Kapuściński had to flee, and the rest of the family followed him as well to find a temporary home in the neighborhood of Warsaw. In the summer of 1941 the Nazis entered Pinsk that meant the extirpation of the Jewish population of the town. 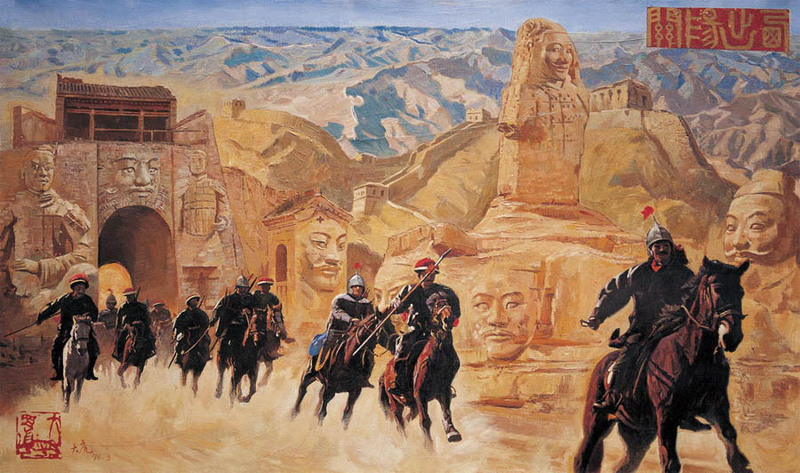 The plan, cherished for so long time by the author, to describe the world of his childhood, that is, to pave the ruined wall of Eastern Europe with the small slabs of many shapes and colors of the various ethnic groups, cultures, languages and religions, has now remained a dream for the eternity. Of this never realized mosaic is one little slab this book. 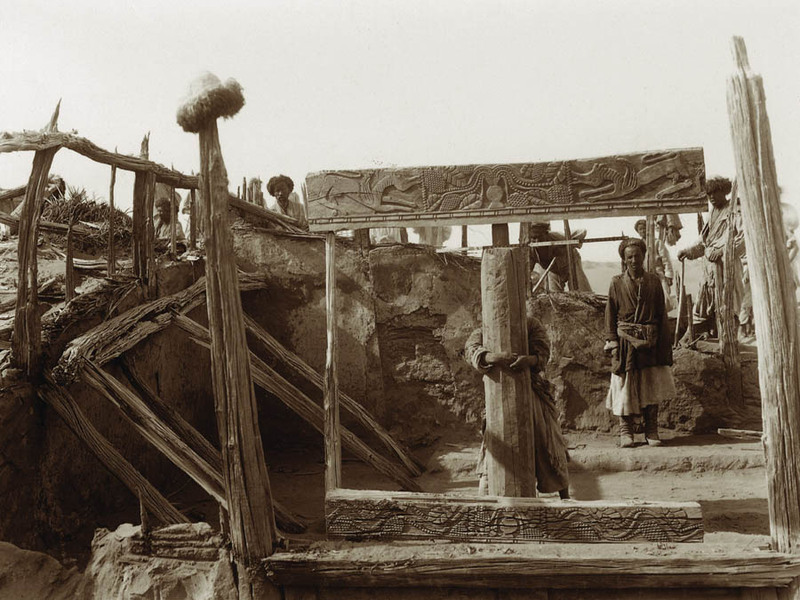 Aurel Stein, discoverer of the sand-buried settlements of the Silk Road and of the manuscripts of Dunhuang, in his last will of 1934 bequeathed to the Hungarian Academy of Sciences all his library and almost five thousand archive photos. However, it took almost fifteen years until his legacy arrived at its place of destination. Stein died on October 26, 1943, only some days after his arrival to Afghanistan where he intended to reconstruct the trace of the military expedition of Alexander the Great. “I had a wonderful life that could have not finished happier than by finally coming to Afghanistan, which I have been longing to see for sixty years.” – were his last words. However, his legacy left in London, as soon as it was legally passed to the Hungarian Academy, was seized by the Department of the Sequestration of Enemy Goods as property of a hostile state, and they set about its sale as ordained by law. 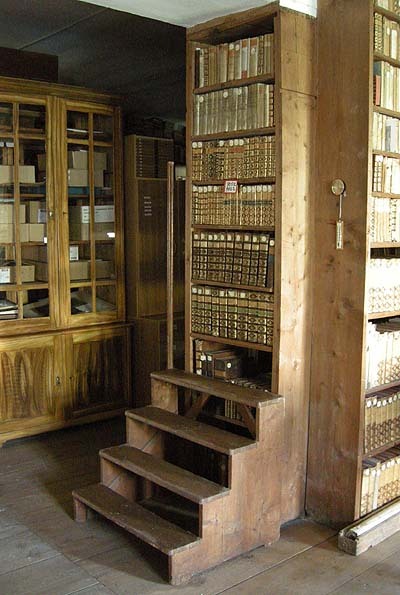 The Academy could obtain only the books left in Kashmir that at the death of Stein were not in Britain. However, when after the conclusion of the war they could have started to take them to Budapest, the iron curtain fell, and the books remained in the custody of the Bodleian Library. 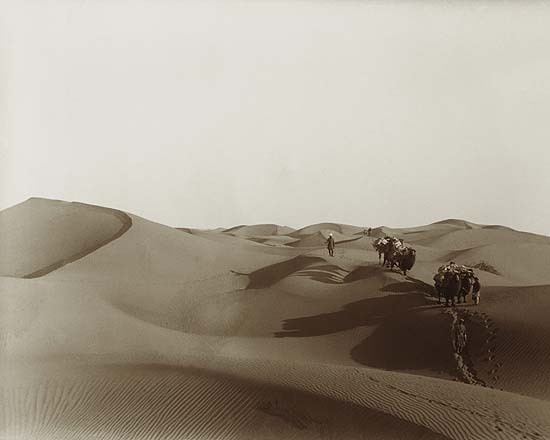 Only by 1957 the international situation was eased that much that the legacy could be delivered to Budapest, including among others the unparalleled collection of archive photos taken by Stein in the course of his Central Asian expeditions. 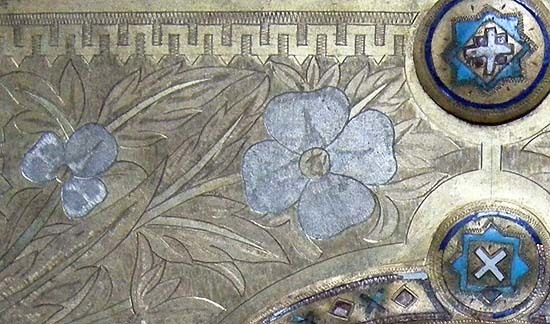 This collection has been recently processed and digitized in collaboration of the specialists of the British Library and the Library of the Hungarian Academy of Sciences. The completion of the works coincided with the centenary of the discovery of the Dunhuang library cave, celebrated by the participants with an international conference organized in Budapest. 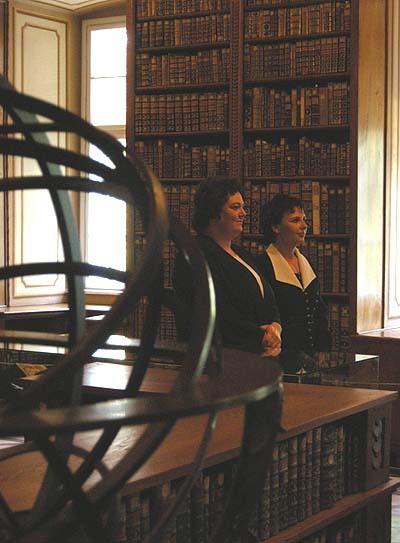 To increase the solemnity of the conference, a first exhibition of a hundred selected archive photos of Stein was also opened at the Hungarian Academy on November 22, 2007, whose web edition was prepared by us in Studiolum in English, Spanish and Hungarian versions. The news about this important international collaboration, about the conference and the exhibition spread quickly, and thus it happened that the Hong Kong bussinesman Paul Kan, Chairman of Champion Technology and sponsor of a number of exhibitions connected with the history and art of China, offered his support to the organization of a much larger exhibition presenting all the photo collection in the University Museum and Art Gallery of Hong Kong. 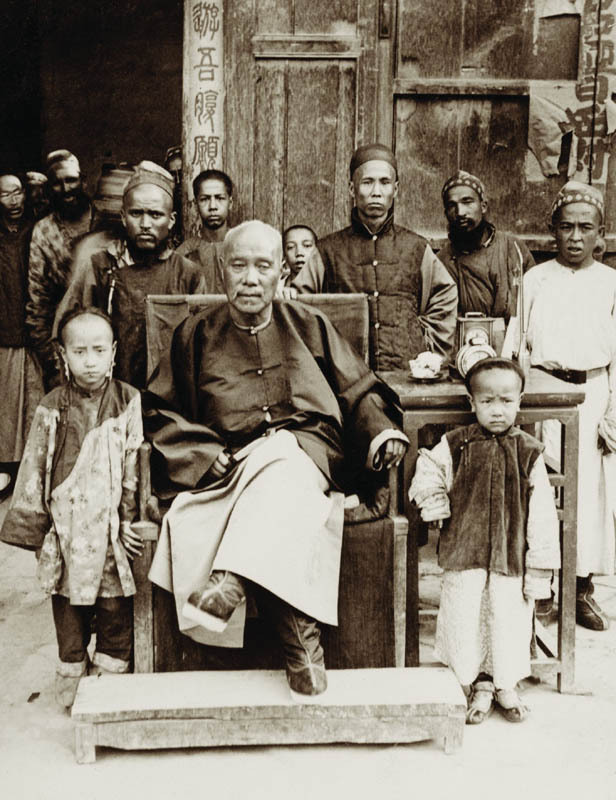 This exhibition was opened some weeks ago – its beautiful leaflet can be found here in pdf format –, and now we are working on the preparation of its web edition in Chinese, English, Spanish and Hungarian. 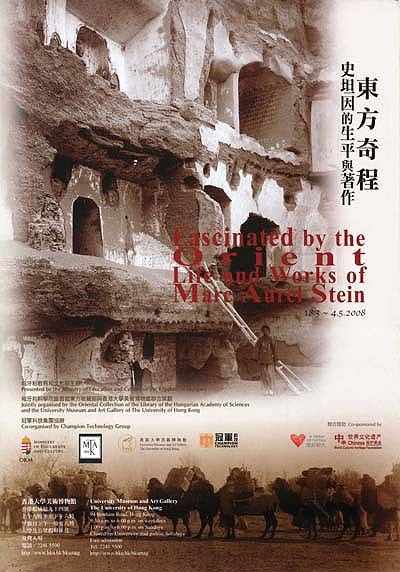 The name of Aurel Stein – in Chinese 史坦因, Shĭtănyīn – has not sounded very well thus far in China. 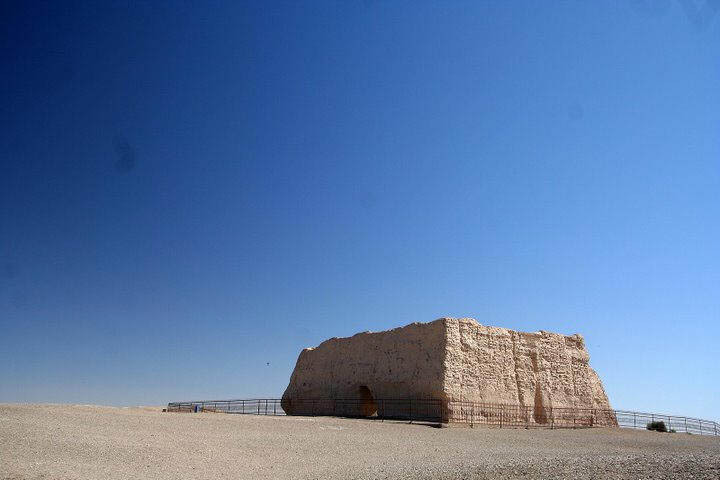 The Chinese official line regards him as one of the imperialists who used to steal the cultural values of the country, and not as the discoverer of the library cave who saved several ten thousands of unique documents from the devastation that soon fell on the rest of the Dunhuang monuments in the period of the civil war and of the Japanese occupation. 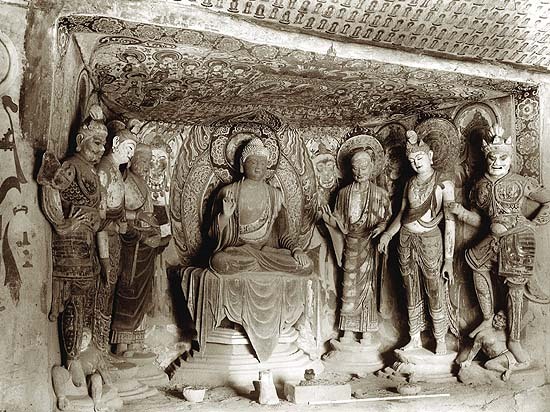 An exhibition like this would have been unimaginable in China even only ten years ago. 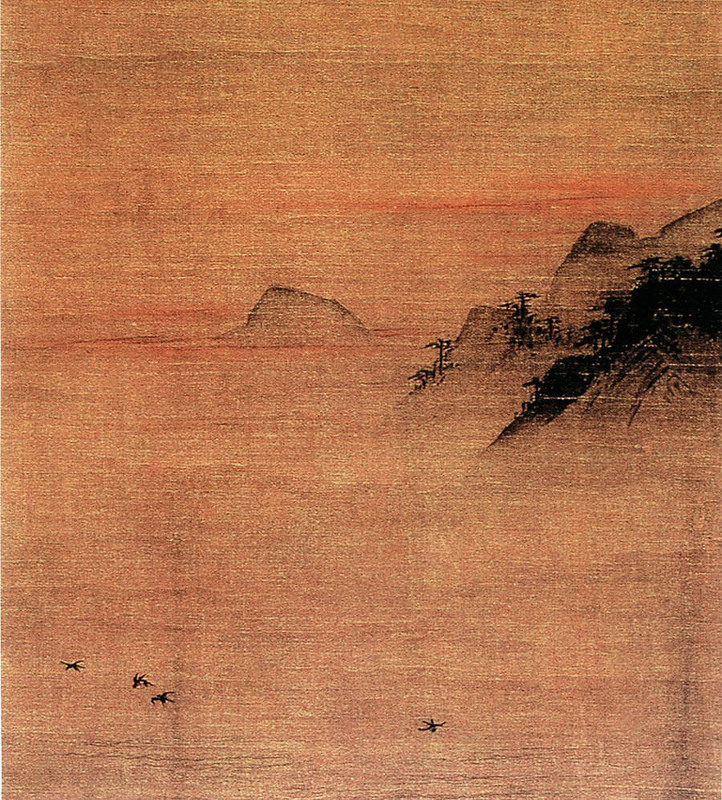 It is possible that Hong Kong, like so many times before in Chinese cultural politics, functions as a testing place and attests the silent change of this position.